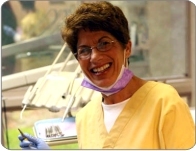 Here at Sloan Dental you will be greeted with a smile by our friendly staff. Our dedicated team of professionals’ main goal is to provide the best dental care modern dentistry offers in the most relaxed, comfortable, and state of the art atmosphere. Sloan Dental - 1314 Hooper Ave., Suite 2, Toms River, NJ 08753 - Phone: 732.286.7600, Fax: 732.286.0550 "Photos by The Studio"